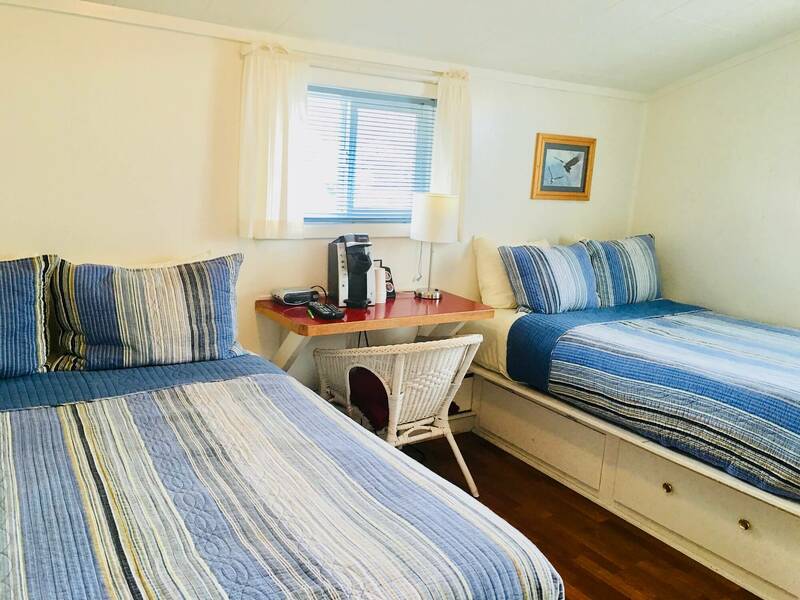 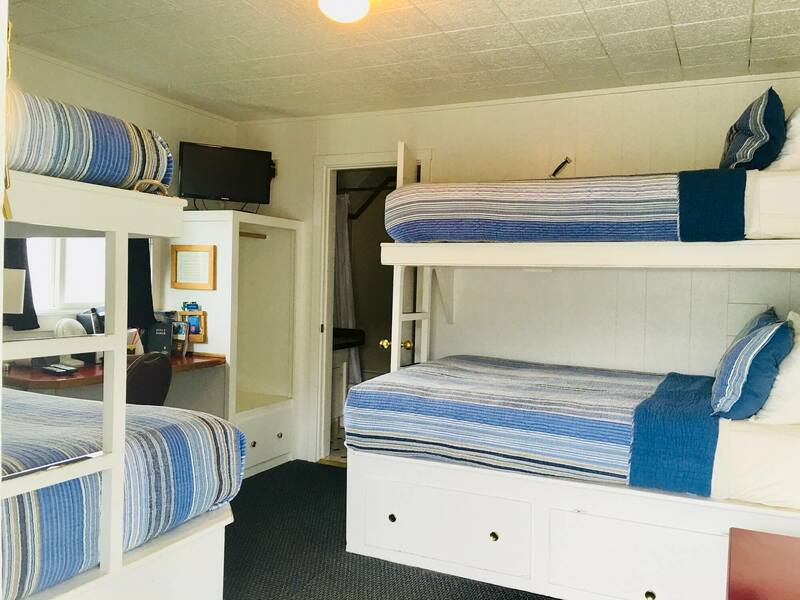 Modest, spotless clean rooms with double beds and a single twin bunk above. 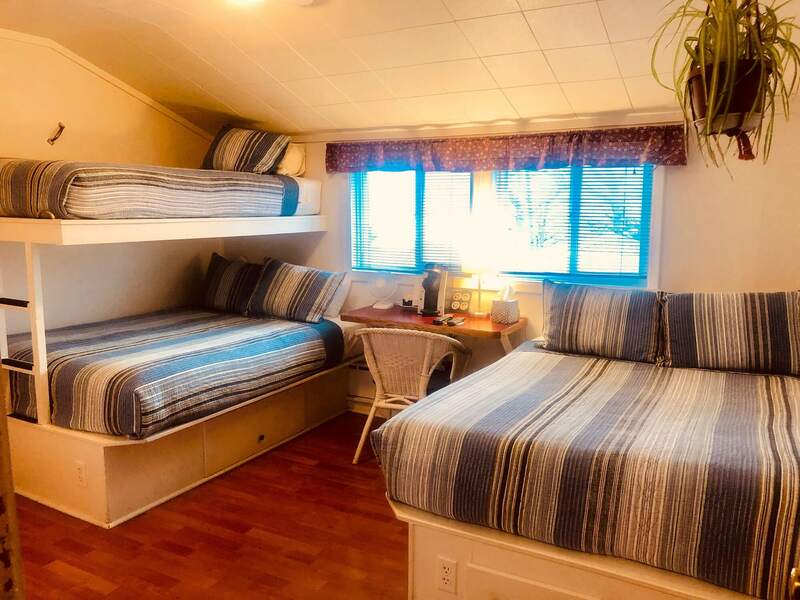 Includes clock radio, cable tv, Keurig coffee pot and private bathrooms. 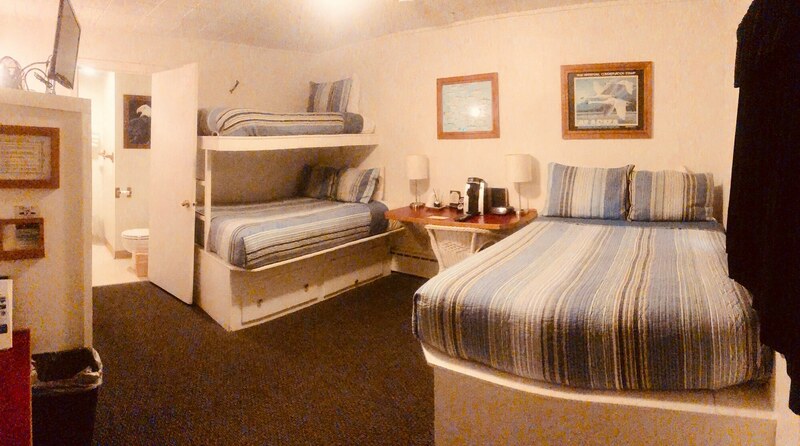 Perfect for families of five.